You may have noticed that the Jackson Free Press news team has spent a good deal of time reporting the content and context of the 2016 BOTEC report that the State of Mississippi commissioned to study Jackson's crime and criminals. It is referenced again in this week's cover story, "Murder in the City." One of our major takeaways from that report, also called the "Capital City Crime Prevention Study," is the idea that there are—according to their analysis—roughly 225 kids in Jackson Public Schools who could account for a great deal of crime and violence in the city if some intervention doesn't take place quickly. To be clear, we don't necessarily know their names from the report—it's an analysis of the patterns of crime and violence based on interviews and the study of data, not a roll call. But what it does tell us is that the problem is easier to tackle when you have a sense of the scope of the problem. By identifying kids and their needs when they start getting in trouble, and then interrupting that pattern and getting them "wraparound" services, you give them a better chance at making it through the rough patches and into productive lives. One countermeasure in the War on Hopelessness is ... hope. I think that's the "hope" that something such as YMP offers. In the same way, other intervention programs that attract kids' interests—like sports leagues, mentoring programs, entrepreneurship clinics, etc.—can be used to channel them into more productive lives, especially when they find adult mentors who give a damn about their current lives and their futures. In the meantime, the kids from stable homes with less risk still get invaluable experiences and the opportunity to spend time in a pursuit that opens their eyes, allows them to engage with people in other circumstances and offers a creative outlet. Many of us have enough privilege in this life that we know how to open a bank account or get an ID or find an attorney to deal with a nagging issue or get the financial-aid forms filled out for college. But there are kids in Jackson who don't have those resources available—or, if they do, mentors (and the hope that comes with them) are not wrapping them up in those resources like a child needs to be in order to take advantage of opportunities. Many young people just don't believe the same options are open to them until mentors help them reach out and train for them. A comment a few weeks ago on our website constantly nags at me. Under our recent interview with mayoral candidate Chokwe Antar Lumumba, "LB" responded to a section about the Jackson Panthers basketball (and mentoring) program that Lumumba's father spearheaded before his death. The program had 700 participants and a get-them-to-college rate of 98 percent, his son told the JFP. LB's comment: "When did it become the city's job to keep kids entertained?" When I think broadly about American politics over the past few decades, I think we've seen a fundamental shift in conservative thought. Put (overly) simply, it's a replacement of the idea of the virtue of "self-interest"—as Adam Smith expressed, for instance, suggesting the invisible hand that guides markets—with the idea that "selfishness" is that same virtue. An utter aversion to taxes; a disdain for community programming; the idea that all roads should be toll roads; or all taxes should be use taxes—if you think carefully about it, this really is a system of thinking that says "selfishness" has the same effect or positive benefit as "self-interest." One is zero-sum; the other doesn't have to be. It's a selfish notion, for instance, that "the city shouldn't be in the business of entertaining kids." Now, I know I've got an uphill battle to convince some conservatives of that argument—even if it is closer to what we used to read about back when I was a Reagan-era conservative in my youth or the "compassionate conservatism" that the Bush family still espouses. But something that many of us can agree on is that the problem of violence in our community can be affected and reduced, in large or small part, by each of us showing up and caring more often. Maybe you're not the "soup-kitchening" or house-building type. (Bless you if you are; the world needs more of you.) At whatever level you can get involved—whether it's supporting a youth basketball program or teaching a podcasting or Web-design seminar or mentoring individual kids—you're working not just to help some of these young people find a little hope, but also in your own self-interest. That is, you're improving the quality of life in your community for families, yours and others. 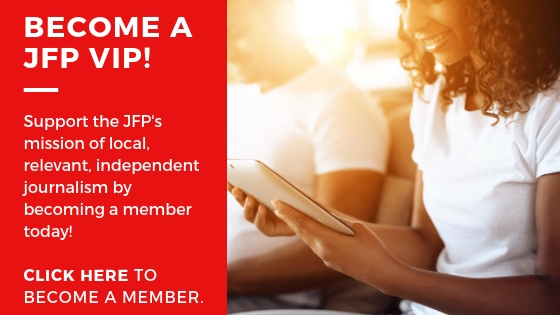 Please read the cover story this week and then engage with the team at JFP.ms to let us know what you are doing in the community, ideas for others' involvement and what you could use help with. Together—and, frankly, only together—we can make Jackson a better place for all its people. 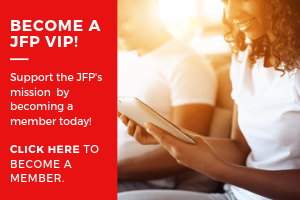 Read the full and ongoing "Preventing Violence" series at jfp.ms/preventingviolence. Get to know the Youth Media Project at youthmediaproject.com and jxnpulse.com. Year 2: ‘Being the Media'!